We’re starting to get into a little fall weather in sunny ATX (just kidding, it’s still blazing hot but there are some leaves on the ground so there’s that). Regardless, even if based on strength of theme alone, this time of year we love to kick back on a porch and sip our drinks while people-watching or otherwise whiling away the hours. It’s a good time of year to reflect, and I’ll be damned if I wasn’t reflecting on how little we’ve been reviewing lately. So, I decided to end my moment of quiet reflection and hit the liquor store for something new to try. I was initially looking for a seasonal release. I love those because I feel like reviewing them can get exposure to those hard to find items that people may be a little iffy on. However, I kept coming back to a bottle that I had never tried but I know serves as a benchmark for many others, and that I’d been hearing about for years as a “must try item”. I speak, of course, about the Michter’s Bourbon. It was time to give it a try even if everyone and their mother already knew about this bad boy. Now, I’m something of a novelty snob. So when I try something that is always available, I expect it to taste very standard. Decent, approachable and boring. I will tell you right now that wasn’t the case with the Michter’s. I enjoyed it in my preferred way: one very large ice cube, generous pour. That way I get to really taste the evolution of the bourbon from neat to slightly more opened up as the cube slowly dilutes the beverage. The Michter’s has a great flavor right up front that commands your attention. It is sharp and bright, however it backs off its bite just before the sting would hit, leaving only warmth. The flavor is honey syrup and pears. The finish of this drink is a really nice, roasted oats kind of flavor. The toasty warmth sticks around. There’s also some good spice here. I got, at different intervals, allspice and cinnamon and a little clove. All very enjoyable stuff, and perfect for the Autumnal illusion I was trying to surround myself in. Overall, the Michter’s is something truly special. I will absolutely be picking this up again, and it has become an instant favorite. I’m also of the opinion that this is a highly versatile liquor, and can’t wait to try it out in a cocktail (spoiler alert, stay tuned…). To sum up, you’re going to want this in your rotation. If you’ve never tried it, now’s the time. And if you have then get to the nearest patio or pub and enjoy another glass. It’s real good. 51% winter wheat, 39% corn, 10% barley malt. 45% ABV. It’s cold outside now in Austin and we’re back at it with the whiskey reviews. Last week, I wanted to try a new wheat bourbon. I’m only really familiar with WL Weller, a staple over at C&W, and it’s such a reliable bottle that I’ve rarely ventured out to see what else is out there. The Weller, which we’ve reviewed here a while back, features a chewy, satisfying flavor and stays away from oversweet qualities or astringency that might be endemic to a wheat whiskey. It was against the Weller standard that I rolled the dice on the Bernheim Original. Three of us settled on the porch, each with different cigars but splitting the Bernheim, a few splashes each and neat. By itself, the Bernheim is astringent. If you’re unfamiliar with this taste, do you know how you’ve choked down Robitussin as a little kid, at the direction of a parent or a school nurse? The first part of Robitussin, out of those little plastic caps, is not that bad. It tastes a little bit rich, round, like licorice. But the end – what we call the backsip – is the rough part. It makes you pucker your lips and grimace unrecognizably. The Bernheim, without any water or ice to open itself up, has the same effect. So, because we like to enjoy ourselves and not feel like we are taking medicine, we added some water. Room-temperature water opened up this bottle very well. The Bernheim only needed a splash, and we could taste some vanilla, cedar and of course the wheat. Grant, who had joined us on the back porch for the night, mentioned that a couple of big ice cubes were his favorite way to water down a nice whiskey. I agree with this. You may taste something different in the drink when the ice is at various melted levels; we were fresh out of cubes, so water had to do. Either way, we were drinking a wheat bourbon on the back porch – hard to complain otherwise. Even though some water saved the night, it’s difficult to justify the Bernheim Original for the price. The 750 ml bottle ran for about $28, the same price point as WL Weller. It’s a thinner, less developed wheat bourbon, and Weller is just the superior product in this field. If you happen to need a wheat bourbon for a particular sort of cocktail, the Bernheim is excellent – a couple of days later I used it for a hot toddy kind of drink with a cider, and the sharpness complemented some of the sweetness. But if you’re hoping to sip something straight, neat or with an ice cube, spring for a different wheat bourbon. I’m continuing the hunt for something to beat WL Weller. and let no one say, with whiskey we were quitters. I have been wanting to try the Willett Bourbon for years. Since I’ve been interested in drinking fine whiskeys, Willett Bourbon has stood out with its incredibly alluring shape, deep amber color, and individually numbered packaging. It is a bottle that immediately commands attention, one that you almost hesitate to drink Orologi Replica Cartier from given the perfect proportion of whiskey that creates the luxurious visual aesthetic. But not to worry, dear readers. Drink I did. I poured the Willett over one large cube, then gave it a few swirls to appreciate its rich aroma. The legs clung to the side of the glass very well, dripping almost like syrup back into the glass. The taste is, and I do not use this word lightly, exquisite. Very rich notes of pear, caramel, and just a hint of smoke paraded across my palate. The finish was creamy and delicious, with absolutely zero harshness. Just a glowing warmth akin to a heated apple cider. 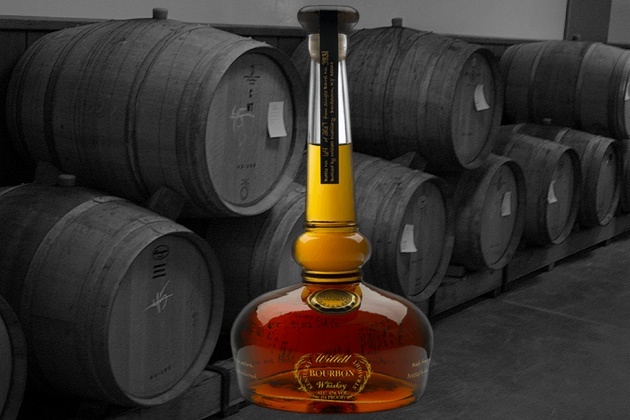 If you haven’t tried the Willett Bourbon, you are absolutely missing out. It is one of those rare cases where the fanciness of packaging accurately reflects the elegance of the drink therein. Pick up a bottle and let me know what you think. As for me, I’ve found one of my new favorite bourbons. Happy Whiskey Day dear readers! As befitting the recent valiant performance of Team USA, today’s selection returns us back to the Red, White, and Blue in the form of Bird Dog Kentucky Bourbon Whiskey. Bird Dog is an intriguing drink. Its mystery starts from its very label, in the sense that for all the information available on the bottle, you might get the billiga cykelbyxor impression it was a product brewed in the liquor store’s pantry: no distillery history, no description of blending techniques, and no back story for the title. True, this cloudy whiskey, with a late wave of peat and a sweet smell of cinnamon mixed with the slightest touch of ginger, is simple, but it is also a reminder that good things do not necessarily need complexion. This is a whiskey you drink whilst gazing at a Southern sunset with good friends; the once in July opportunities that come maglie calcio online once in a bottle. You would not buy Bird Dog to impress someone, just as the person counting stars cares little about the final tally. This dog bites better at room temperature than on ice, as it keeps the flavor throughout the entire sip, but otherwise an enjoyable, if thoroughly par product for your consideration.